Living simply, living lean, is something my family and I strive for. We are on a mission to DIY our lives by cutting out unnecessary spending and excess. A nice perk to living lean (other than saving money and less stress) is the positive effect it has on the environment. By taking steps to save money and live simply we often find ourselves using fewer resources. I’m sharing with you 5 Tips for Greener and Leaner Living, tips you can use today to save money and protect the environment. These tips are not profound, they don’t require a major life change. They are simple tips you can use today to start saving money and living greener. When you walk out of a room turn off the light, such a simple concept. When you are home at night how many lights do you really need on? Think about your electronics as well. Do you turn your TV off when not in use? Do you have it on the background? Take inventory of your lights and your electronics, what do you need to have on and what can you do without. A 60W light bulb left on for 2 hours uses 0.12 kilowatt-hours. The average US electricity customer pays $.12 per kilowatt-hour. My kitchen light fixture has 5 60W bulbs. If I leave this on for 2 hours it will cost me $.07. Over the course of 1 year that’s $26. That’s just one light fixture, it adds up! By turning that light off at night when I don’t really need it on I am saving money and energy. To expand on the point above, be sure to unplug unnecessary items before you leave for vacation. Turn off power strips, unplug the coffee pot, TV, and computer. All of these items use electricity just by being plugged in. Many homes have a programmable thermostat, but most people do not use them to their full capability. We used ours manually for a long time. By programming it, we have seen a decrease in our heat/air costs. Set your thermostat to turn off or run at the bare minimum while you are gone during the day. Set it to kick in when you arrive home in the evening, then turn down when it’s time for bed. You can do all this manually, but if you forget you can end up heating or cooling a house when no one is home. By programming a schedule that works for your home you don’t have to think about it every day. We live in an age where clothing, household goods, and even larger items are readily available and relatively inexpensive. You can buy a cute t-shirt for under $5, a set of plastic dishes for a couple bucks. It’s so easy to run to your local store and pick up new inexpensive products. 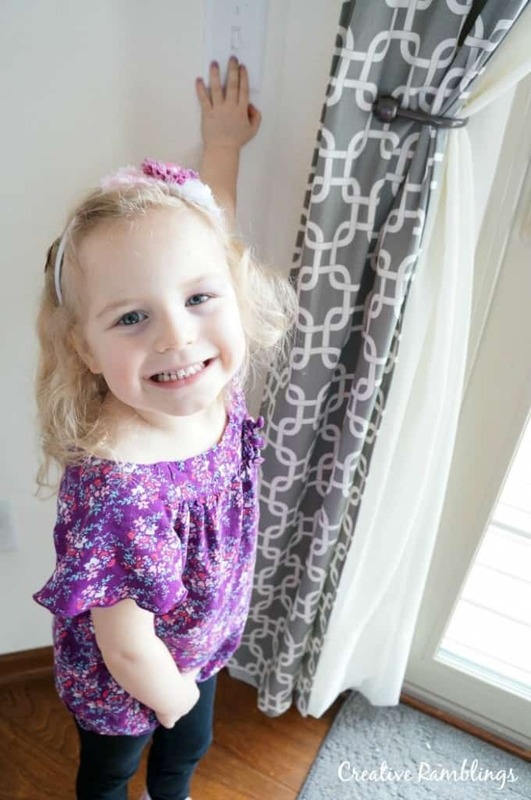 It’s just as easy to toss these inexpensive items when you no longer need them. Think about the impact this has on the environment. New resources manufactured only for us to use them a couple of times then toss them. This age of inexpensive and readily available items has led to a wealth of channels for us to buy slightly used items for pennies on the dollar. Think resale shops, thrift stores, garage sales, social media buy/sell groups, online consignment sites etc. There are so many options. 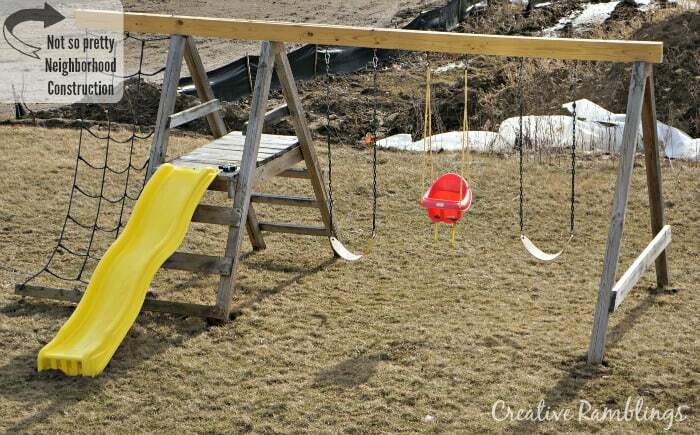 Last fall we searched a couple of online deal sites and scored a solid wood swing set for $60! My husband and father-in-law just had to disassemble it and haul it home. They replaced 1 rotting board and it was good as new. We saved a ton of money and resources with this purchase. There will be times when you have to buy new items, just be sure to shop smart. Look for items that use recycled materials or are manufactured in green factories. I recently discovered Energizer EcoAdvanced Batteries. We go through a lot of batteries in this house, between toys and handheld electronics I buy them at least once a month. I have tried buying inexpensive brands but find that they just don’t last. Energizer EcoAdvanced is a new product and Energizer’s longest lasting alkaline ever! The best part, this is the first battery on the market to use recycled batteries/materials. 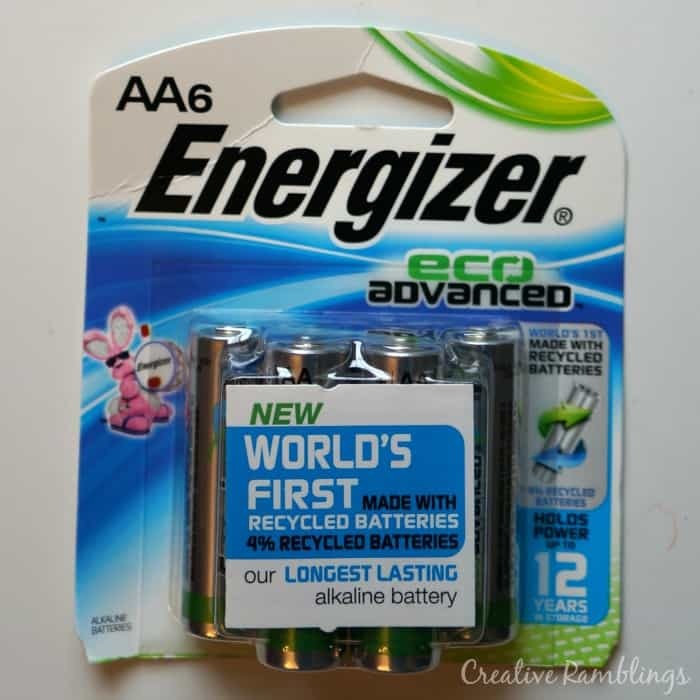 Energizer has taken something previously thrown in a landfill and made a new product. Not only will these batteries last, so I don’t have to buy them as often, but I feel good knowing I am helping the environment. 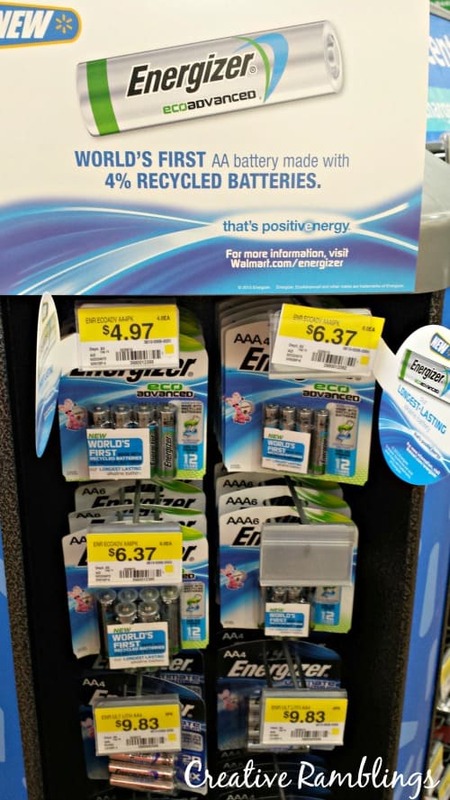 If you want to pick up some Energizer EcoAdvanced batteries, head to Walmart and look for the display below. You can find batteries, AA and AAA, conveniently located near the checkout lanes or in the electronics department. You can also learn more at BringingInnovation.net. These 5 tips can help save you money and resources. By making little changes every day you will develop habits and soon these tips will become second nature. Before you leave I have a giveaway for you, a good one. Enter the Guilt-Free Energy Giveaway for a chance to win $1000 in gift cards! We work to take these 5 steps in our house every day. 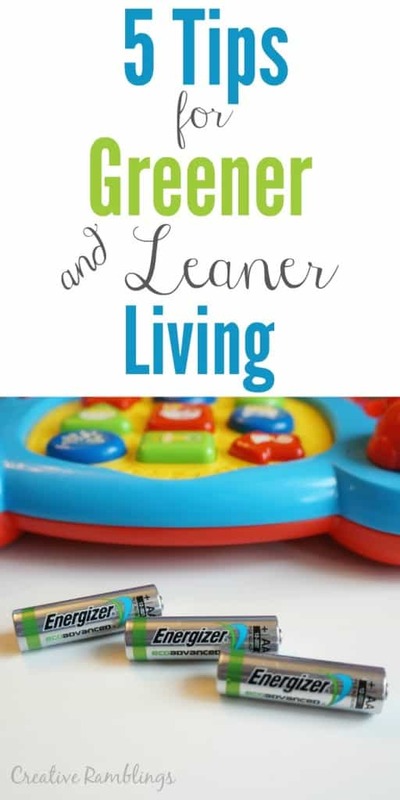 What do you do to live a greener and leaner life?